The Iron Psyche from Matthew Allard on Vimeo. Our technical editor Matt Allard had been shooting with a pre-production KineRAW S35 camera for the past few weeks. For those who don’t know this is a Chinese made digital cinema camera that retails in China for less than $7000 US. Check out our previous reports on the camera. Initial shipments have now begun to Chinese customers and I have been lucky enough to get one myself. Sadly I’ve been far too busy to test out the production model, so for now sit back and enjoy Matt’s lovely short shot on the pre-production model. A full review will be following in due course. 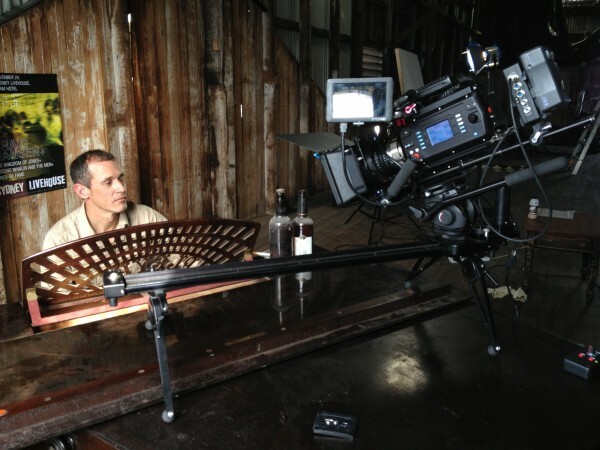 Edit – The slow motion shots in the video are not shot using the KineRAW S35, Matt says they were shot on a Sony FS700. The KineRAW is only capable of 720p/60. The camera used was an engineering sample and not a production model. It was edited in Adobe Premiere and the sound mix was done in pro tools. It was very lightly graded, just the odd bit of contrast, saturation and black levels changed. We did this on purpose so people can see what the Kineraw image looks like. We did zero noise reduction or sharpening on any of the footage. The camera itself does no in camera noise reduction. So what your seeing noise wise is exactly what’s coming off the sensor. This short was filmed over two days in Cronulla, Rockdale and Lewisham, all suburbs in Sydney, Australia. Shelley Watts for going above & beyond.